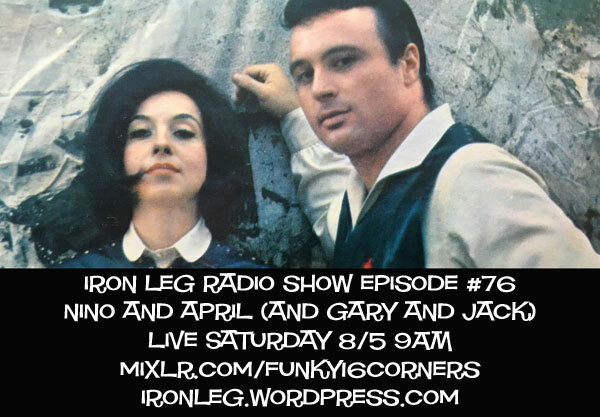 I hope you all enjoyed last week’s mix, and that some of you headed over to click on the Patreon link and donate in furtherance of the Funky16Corners/Iron Leg thing as a continuing institution. I have something very cool for you this week with an artist that we have addressed in this space before. Beverley, aka Beverley Kutner, aka Beverley Martyn is best known these days as a folk oriented singer due to the body of work she recorded with her ex-husband, UK folk legend John Martyn. 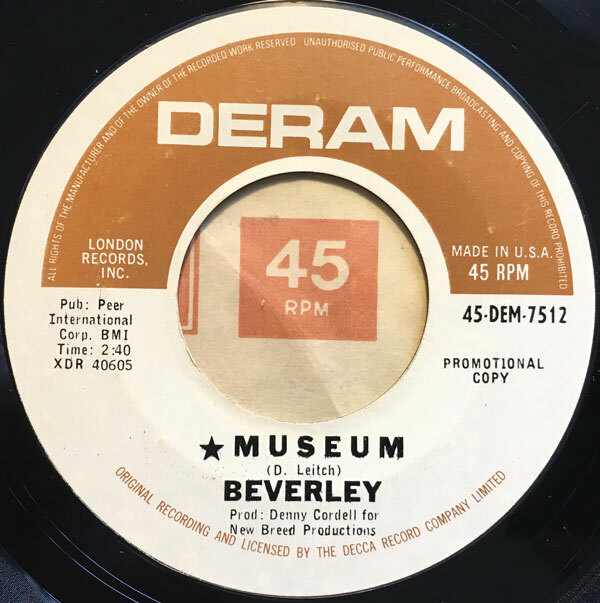 She got her start – however – recording things in a much more pop vein with a pair of 45s in 1966 and 1967 for the storied Deram label in the UK. The first, ‘Where the Good Times Are’ is an absolutely stunning bit of freakbeat with piano by Nicky Hopkins and guitar by a long-forgotten, itinerant studio musician named Jimmy Page (cough…). Beverley was also acquainted with a certain Paul Simon, who she connected with during his time in the British Isles, eventually making a cameo appearance on the song ‘Fakin’ It’ on the Bookends LP. That said, her second 45 is only really a half a 45, since the flipside is a smoking Hammond instro by the Denny Cordell Tea Time Ensemble. 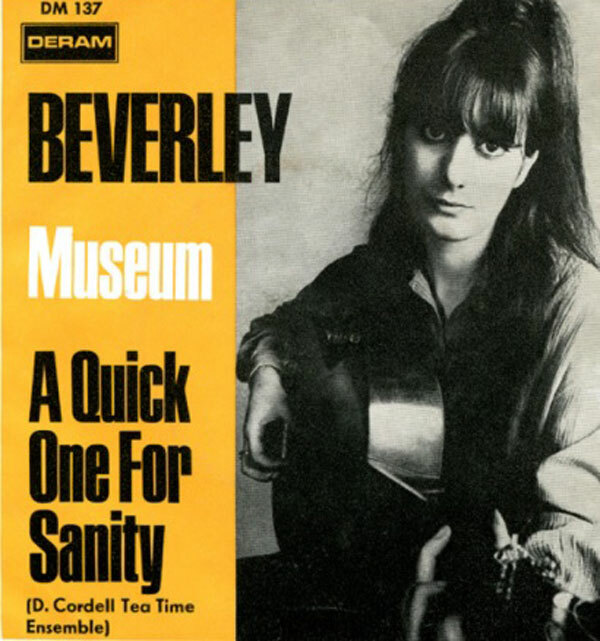 Bevereley’s side of the record is a very groovy cover of one of my favorite Donovan songs, the oft-covered ‘Museum’. Beverley’s version is very much of its time, and while it doesn’t break any new ground, it is quite good. It would be few years before she would record with John Martyn. Make sure to click on that Patreon link. This month we have an in-depth look at the sounds of Nino Tempo and April Stevens, as well as a jump-off to the songwriters that helped make their ‘All Strung Out’ album such a success. Take note, this month’s Iron Leg Radio Show podcast will not be available on Mixcloud due to the fact that having 17 tracks by the same artist violates their terms of service.